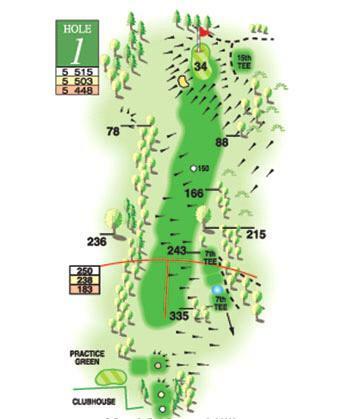 A challenging opening hole, the longest on the course often into the prevailing wind. Sloping fairway left to right can lead to trouble especially off the tee. Best approach to the elevated green is from the left side of the fairway, using if necessary the steep bank on the right of the green.